Leadership. It's about the people. For over 40 years, SKS has partnered with organizations to increase success when it comes to hiring the best talent and developing leaders who will capitalize on the opportunities ahead. Our more than 100 ongoing clients range from small, local enterprises to multinational corporations. Of the utmost importance is supporting the organization’s employer brand – clients benefit from our experience, technical expertise and high, personal touch. Ensuring you stay ahead. Economic and employment challenges are constantly changing. Our commitment to you is to stay on top of the latest trends and provide you with tools to help you succeed in making the right decisions in the areas of selection and development. With a focus on practicality and utility, our solutions make sure you have the talent required to power your business strategy. Efficient and value-driven. Our process is designed to be a rigorous and comprehensive yet efficient means of reducing uncertainty in hiring decisions and leadership development. Multiple best-in-class tools and exercises are used to provide an objective, data-based measurement of a candidate’s fit for a particular role, or an incumbent’s strengths and developmental needs. We pride ourselves on being able to effectively serve organizations and individuals around the globe from our Twin Cities office. Partnership, Insights, and Excellence. We strive to behave in accordance with our values as we work with each other as well as our clients and other key partners. Our strong client relationships are characterized by a spirit of partnership and trust. Rather than approaching clients as the “expert” telling them what they need to know, we combine our strong assessment expertise with the personal, customized approach required to achieve their objectives. Our approach is data-driven, and we utilize this data to identify insights that allow for a deeper understanding of the individual, team, and organization. Simply put, doing great work is what excites us. Dr. Caudill is a Talent Assessment Consultant with SKS Consulting Group. She received her Ph.D. from the University of Akron, where she studied Industrial/Organizational Psychology. Her research focused on diversity in the workplace, particularly around organizational culture and climate. Her internship and consulting activities have shared the common theme of using assessments and data to improve the workplace for both organizations and the people within. Her work has been in a variety of topics, including employee selection, engagement, training and development, performance management, and well-being. She is passionate about leveraging insights from data and psychology to create meaningful changes, outcomes, and growth for organizations. Dr. Rada-Bayne is a Talent Assessment Consultant with SKS Consulting Group. She received her Ph.D. from Bowling Green State University, where she studied Industrial/Organizational Psychology. 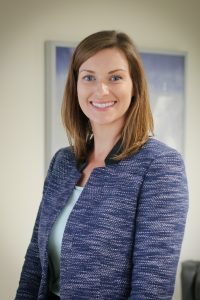 Her research focused on examining the relationship between personality characteristics and perceptions of interpersonal interactions at work, as well as organizational and health-related outcomes of workplace mistreatment. Her consulting and internship work have focused on the development and validation of assessment tools in a variety of industries. She is passionate about leveraging data-driven insights and psychological best practices to enable organizations to select and develop their most valued assets, their people. Dr. Anderson has a passion for applying psychological principles and assessment data to enhance decision making and maximize performance. She is specifically focused in the areas of selection and development of key talent. Dr. Anderson’s approach is system oriented and solution driven. The results are high performing individuals and teams that drive results for the business. She has served as a trusted HR and Management partner for over a decade, helping individuals, teams and organizations turn insight into action. Dr. Anderson has insight and knowledge gained from working as an internal consultant at a global medical device company for many years, as well as from owning and managing her own business prior to joining SKS Consulting Group. She also serves as an adjunct professor at the University of St. Thomas and Hamline University. Individual and team assessment and development, organizational intervention and consultation, competency modeling, succession planning, executive and performance coaching, and workshop design and facilitation. Christine McGie is a Marketing and Project Analyst with SKS Consulting Group, and has been with SKS since 2011. 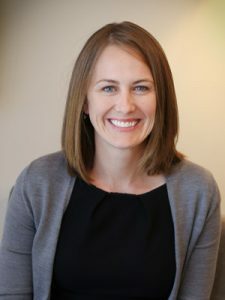 She has her bachelor’s degree in Psychology from the University of Minnesota, Duluth, where she also served as a research assistant; and she is currently enrolled in the Business Analytics Masters program at the University of St. Thomas. She has extensive experience in marketing, data analysis, and customer service. She plays a key role in providing quality deliverables and in ensuring exceptional experience to clients and participants. 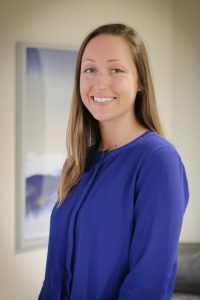 Sarah Nelson is the office manager with SKS. She is a graduate of Augsburg College. She has extensive experience in marketing, customer service and operations management. She plays a key role in ensuring an exceptional experience for our clients and participants in SKS programs. Dr. Pesch is a Talent Assessment Consultant with SKS Consulting Group. She graduated with her Ph.D. in Counseling Psychology from Iowa State University, where she studied vocational psychology. Her teaching and research activities revolved around career development, person-environment fit, and vocational assessment. She also brings extensive experience in integrated personality assessment to her role. Dr. Hedberg is a Talent Assessment Consultant with SKS Consulting Group. She graduated with her Psy.D. in 2015 from the University of St. Thomas, where she studied Counseling Psychology. Her teaching, internship, and research activities revolved around psychological assessment and evidence-based interventions. She also brings experience in the use of motivational interviewing to promote employee engagement and satisfaction. She draws on her background in the realms of healthcare and psychology to help organizations assess their talent and develop their leaders. She is passionate about leveraging data to provide key insights that allow individuals and organizations to excel. Dr. Jessica Bell is a talent assessment consultant with SKS. She is a graduate of the University of Wisconsin, Madison. She earned her Psy.D. in Counseling Psychology at St. Thomas University. She brings strong technical assessment skills to her work at SKS, as well as a background in marketing and communications. Lori Coleman received her undergraduate degree in Education from Minnesota State University at Winona. After having worked in customer service, project management and managerial positions, she joined SKS in 2001 as Office Manager. Her primary focus is to provide superior customer service to our clients. She can be contacted for information about our organization, to schedule appointments, or to set up online testing through our website. Dr. Donnay develops leaders and transforms organizations. He has nearly two decades of experience in applied psychology in business settings. He is known for his business acumen and strategic thinking as well as his knowledge of psychology. Widely considered an expert in assessment for selection and development, he also brings expertise in coaching and succession planning. His research and consulting career over the past 20 years has focused on the long-term prediction of leadership and career success. Earlier in his career, Dr. Donnay led research, product development, and professional services for a global publishing and consulting organization. Dr. Donnay advises organizations on a wide range of strategic issues such as selecting and developing leadership talent, identifying and preparing future leaders, and aligning and accelerating team performance. Dr. Donnay is also on the Board of Trustees of Washburn Center for Children in Minneapolis, Minnesota. For more than a decade, Dr. Mortensen has improved the quality of organizational decision-making in the critical areas of selection and development. She has an exceptional talent for providing empirically driven yet practical solutions that select, develop, and engage leaders and talent at all levels. She is dedicated to making assessment data applicable for individuals to excel personally and professionally and for organizations to understand how people function on the job. She has a keen ability to identify and then maximize and grow the capabilities and competencies of human resources to the fullest. Dr. Mortensen is passionate maximizing organizational effectiveness by leveraging data, developing individuals, and building teams. 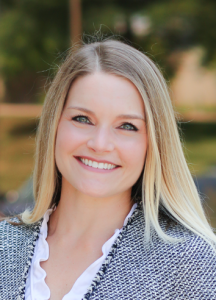 Dr. Mortensen performed as an internal organizational psychologist for a Fortune 100 company where she provided practical and results-focused solutions. Just prior to joining SKS she successfully led a learning and development function for one of the nation’s largest healthcare systems. 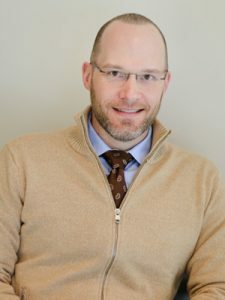 Since joining SKS in 2006, Dr. Whittier has partnered with a variety of organizations to enhance the quality of decision-making in the critical areas of selection and development of key talent. He has considerable experience working across diverse industries such as manufacturing, retail, finance, health care, and information technology. 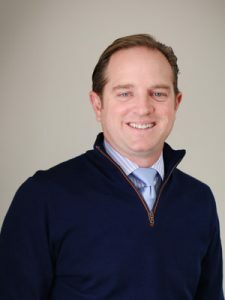 Clients appreciate Dr. Whittier’s high level of responsiveness and he has effectively maintained strong partner relationships over the past decade. He has conducted thousands of leadership assessments at all levels within organizations. Dr. Whittier is proficient at making assessment data highly relevant and useful beyond the hiring decision. Solution-focused coaching and onboarding and transition planning are additional areas of expertise. Dr. Whittier is a Board Certified Organizational and Business Consulting Psychologist, a credential recognizing advanced competence within the specialty.